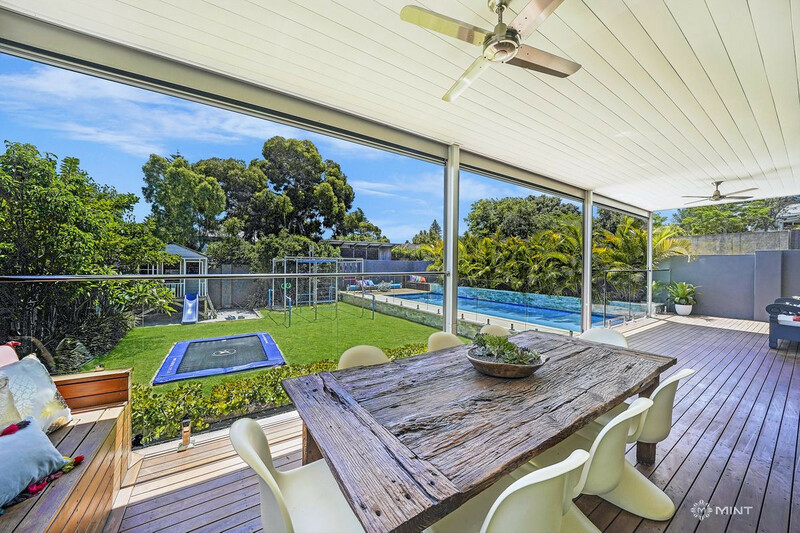 Nestled in quiet Edward Street, this single-level, lovingly renovated family home accentuates the unique high ceilings and wide hallway of the original dwelling, and combines it with a spacious, light-filled living/dining area that flows out through 9m-wide sliding doors to the shaded alfresco deck, and north-facing quiet backyard paradise. 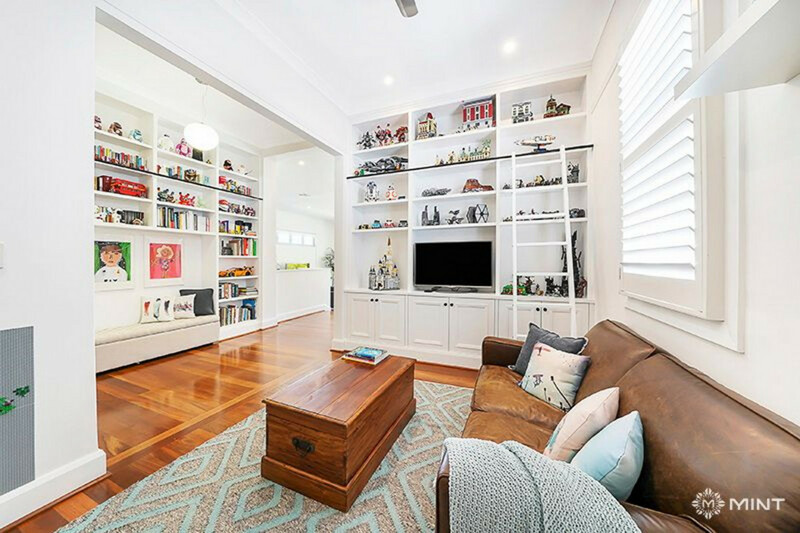 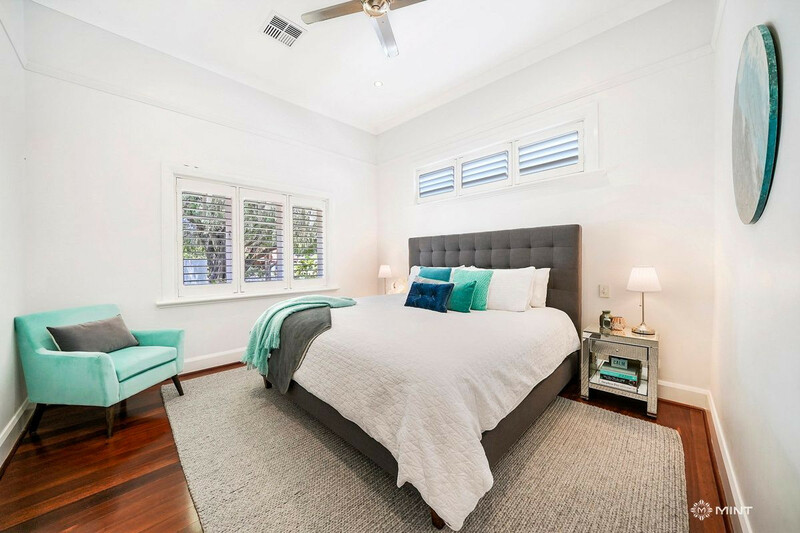 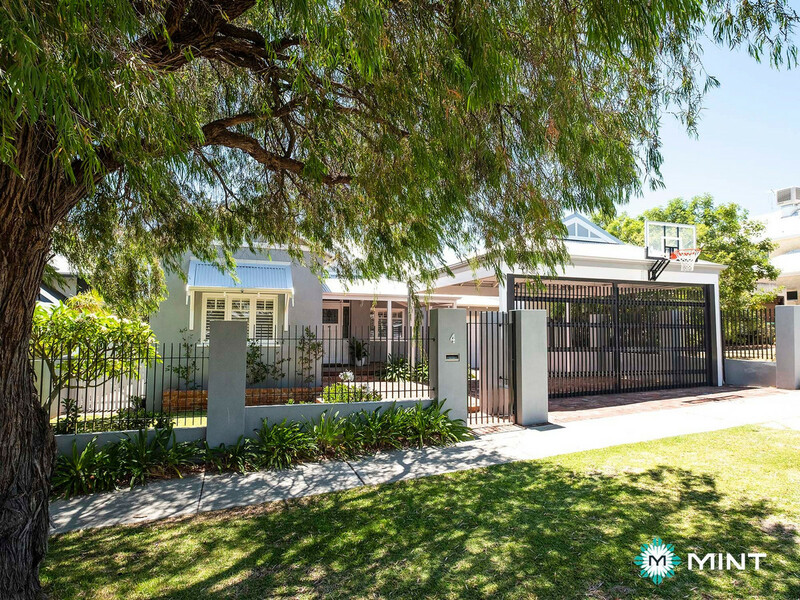 Ideally located close to premier schools and renowned amenities, this impressive property sits on a 708sqm landholding and presents an opportunity not to be missed. 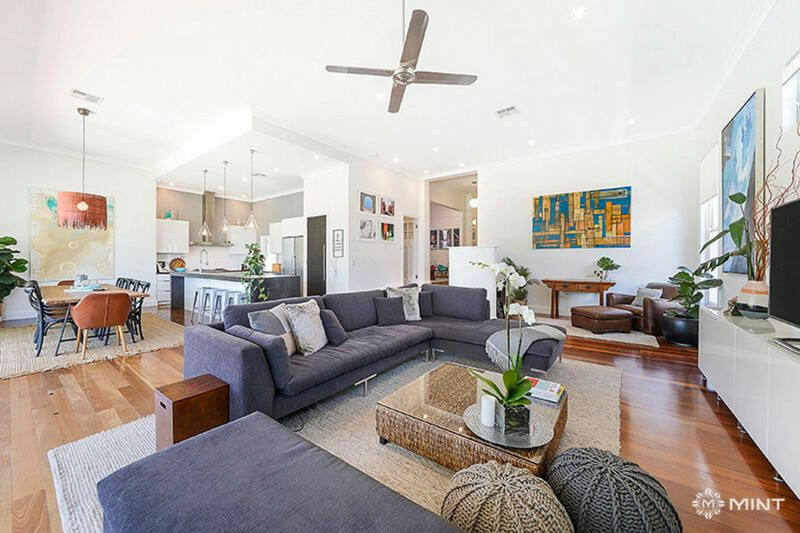 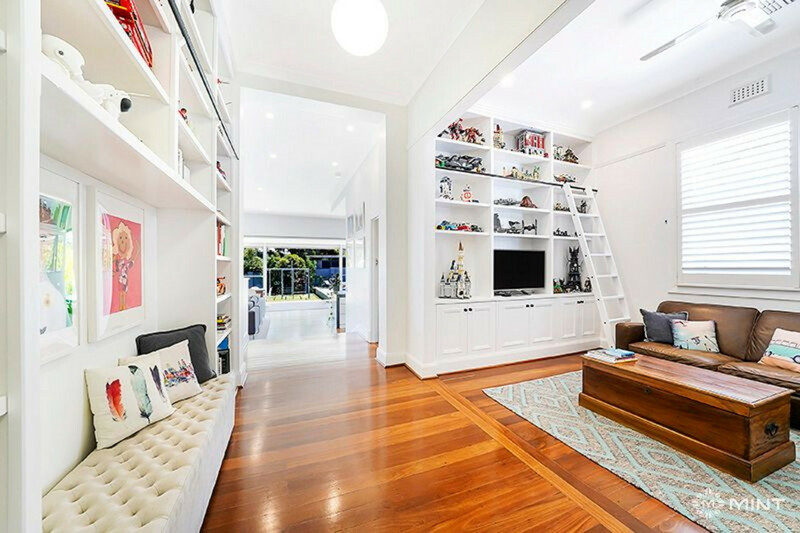 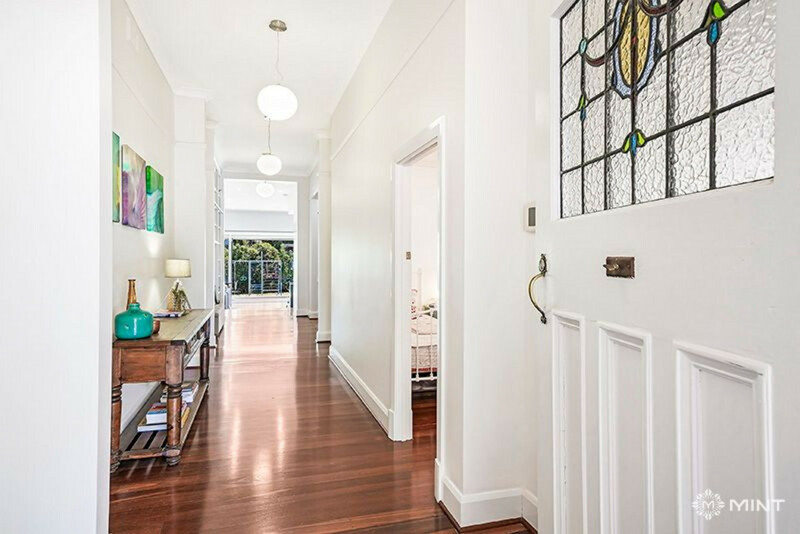 The 2.3m-wide hallway with original polished jarrah floorboards and soaring ceilings entice you through to the heart of the home: a light-filled, open plan kitchen, dining and living room with 3.6m-high ceilings, relaxing office area and expansive gallery walls for art. 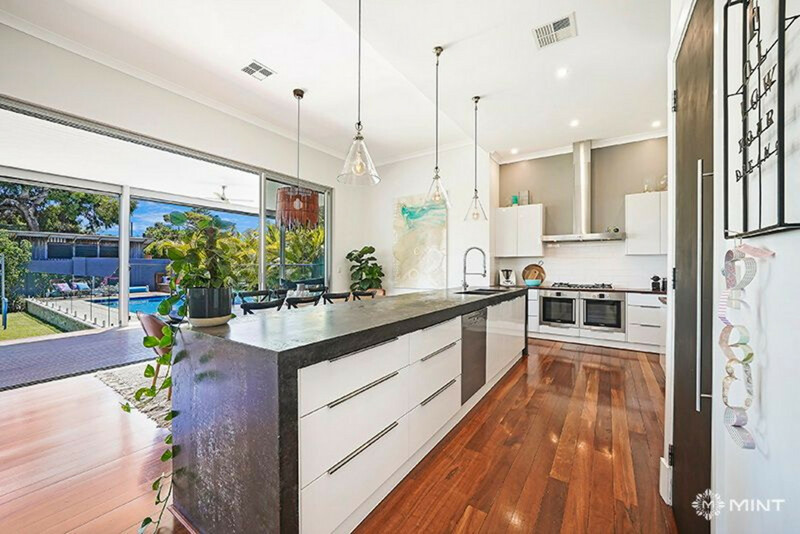 The statement kitchen is centred around a bespoke 4m charcoal concrete island bench, with Bosch twin ovens and cook top, Miele dishwasher, Schweigen silent range hood, walk-in pantry and large laundry to the rear. 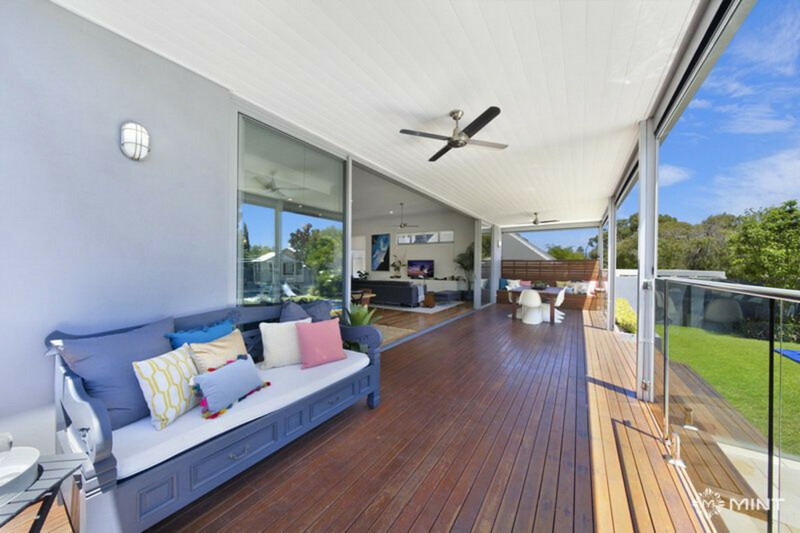 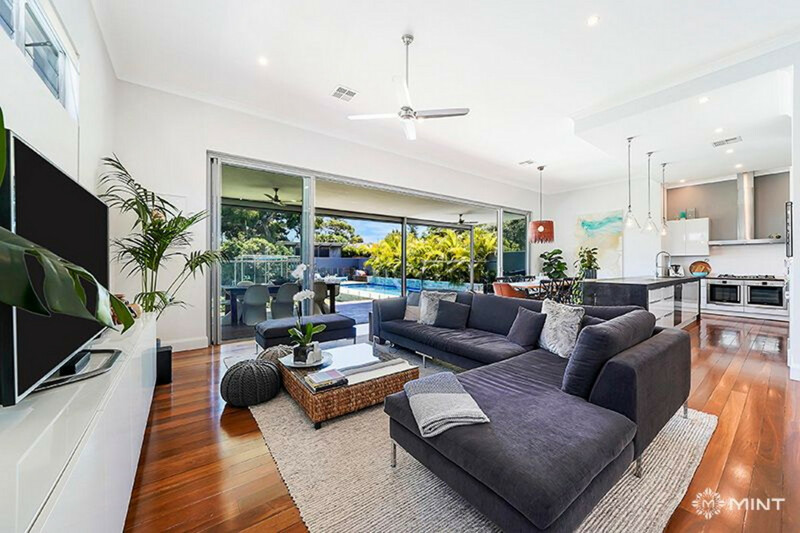 Sliding doors open onto a shaded, alfresco area with jarrah decking, outdoor blinds, ceiling fans and built-in storage seating, offering an idyllic indoor/outdoor living lifestyle. 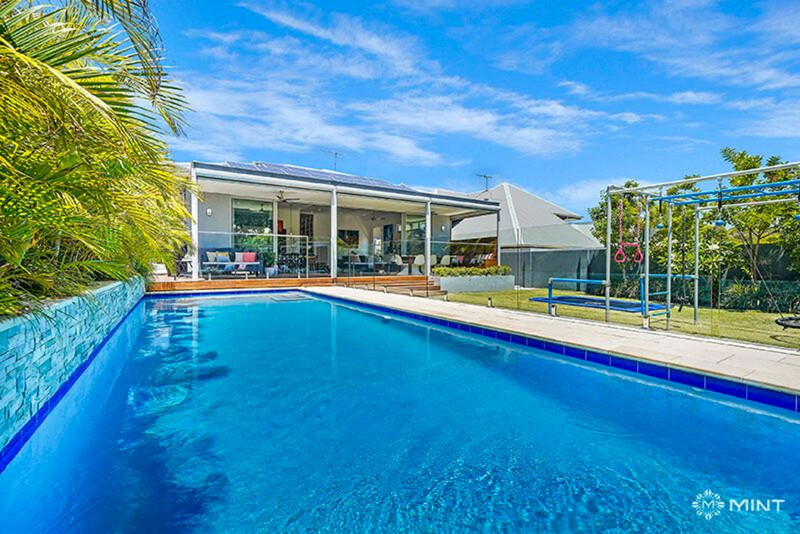 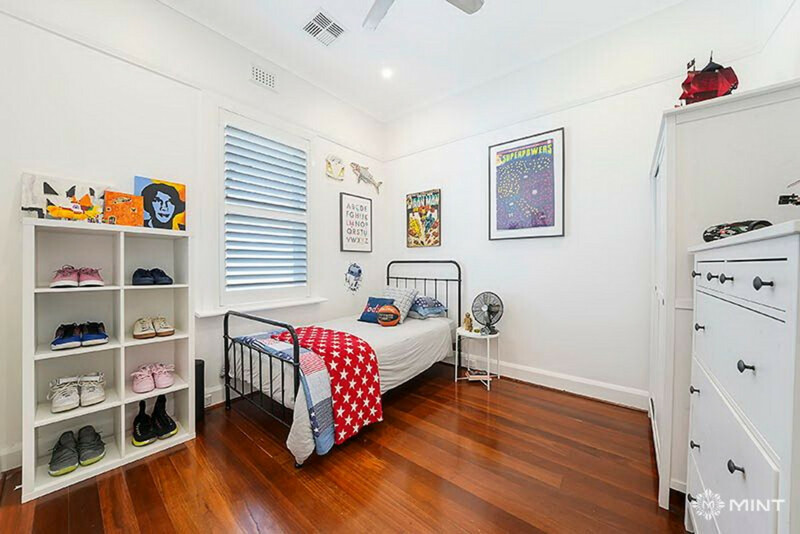 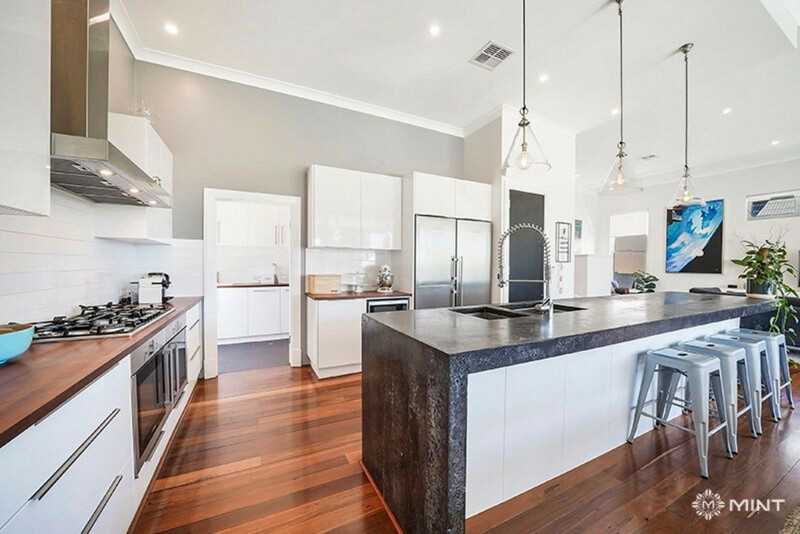 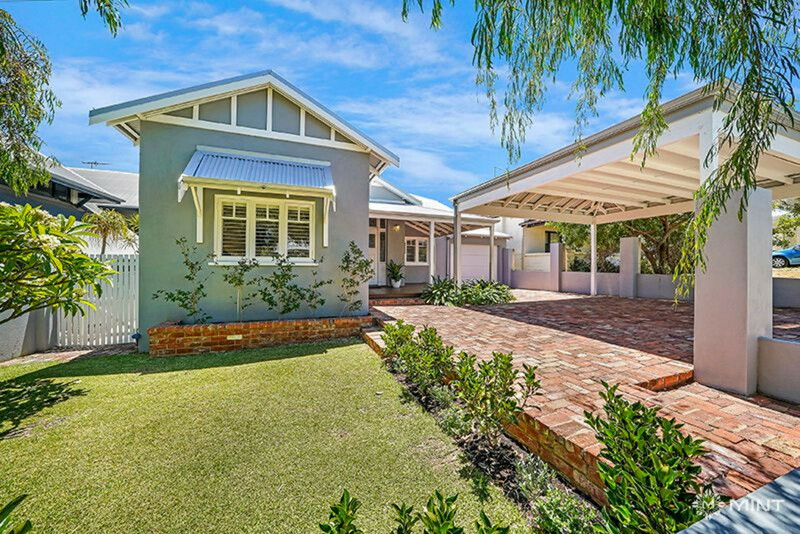 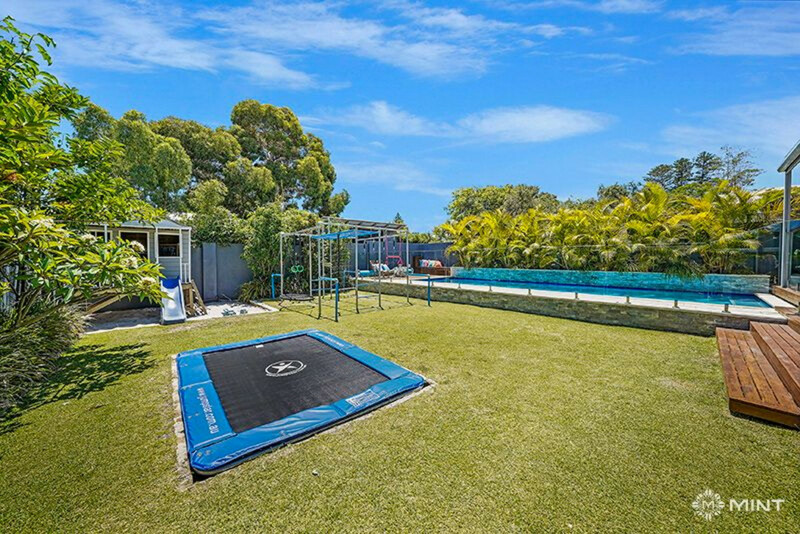 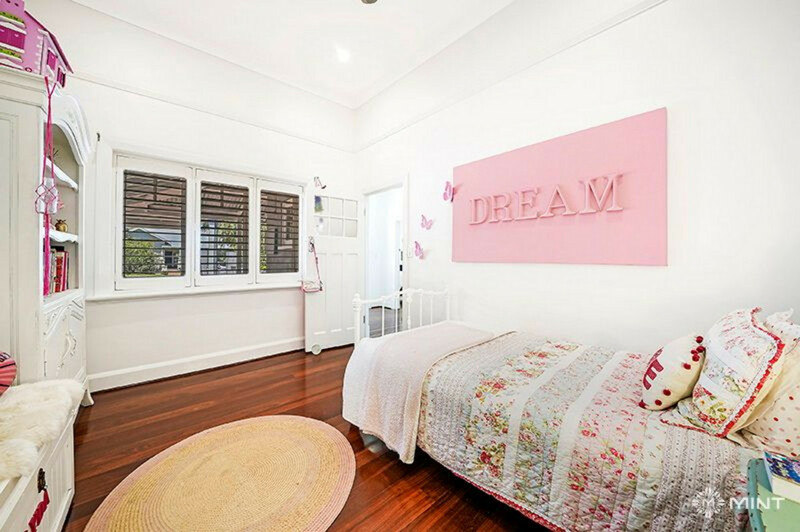 Boasting a sought-after north facing aspect, the outdoor space is complete with a glass-fenced sparkling swimming pool, in-ground trampoline and cute cubby house ensuring the kids never have a dull day. 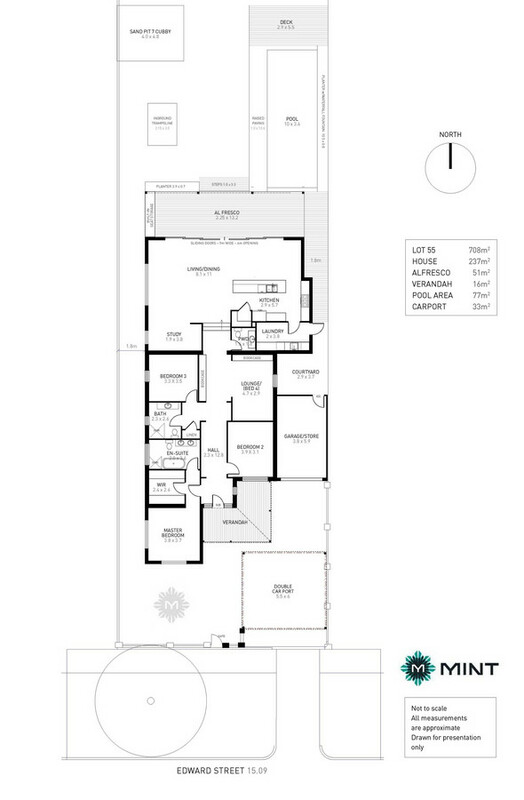 Three/four generous bedrooms offer a flexible floorplan. 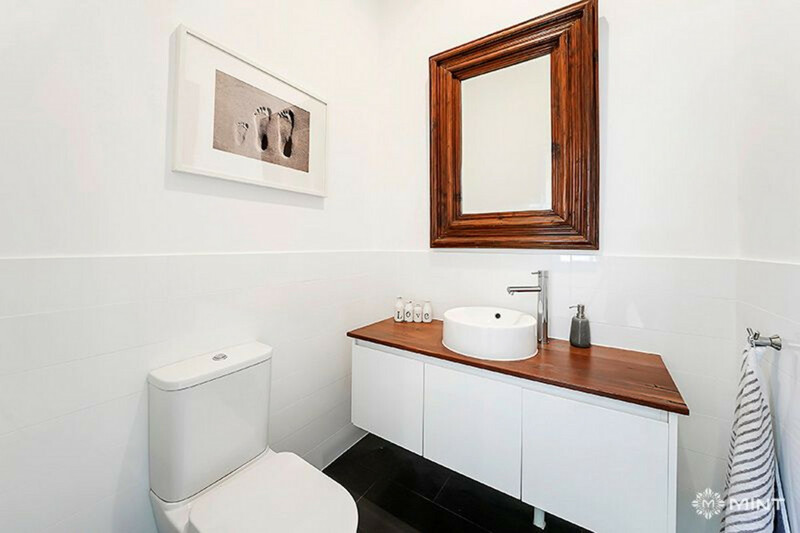 The master suite is complete with expansive walk-in robe and contemporary en-suite has underfloor heating with marble double vanity, shower and bath. 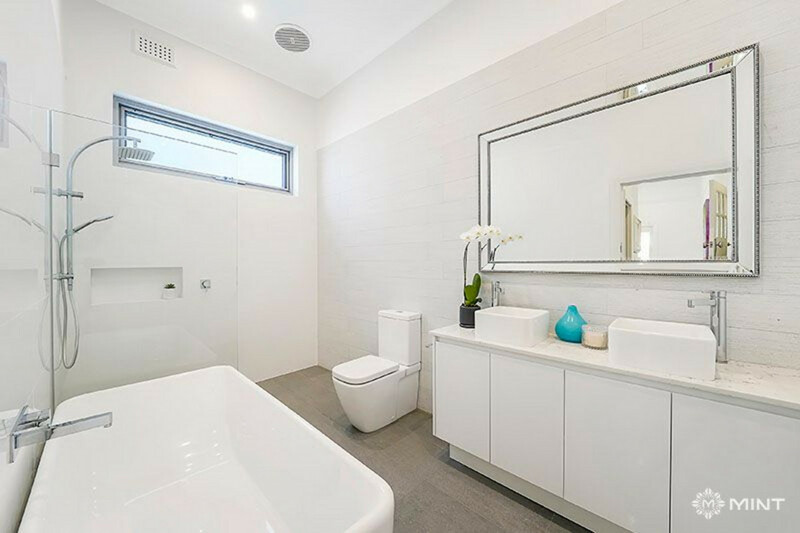 The stylish family bathroom also has underfloor heating, single marble vanity and an oversized shower, and there’s a powder room. 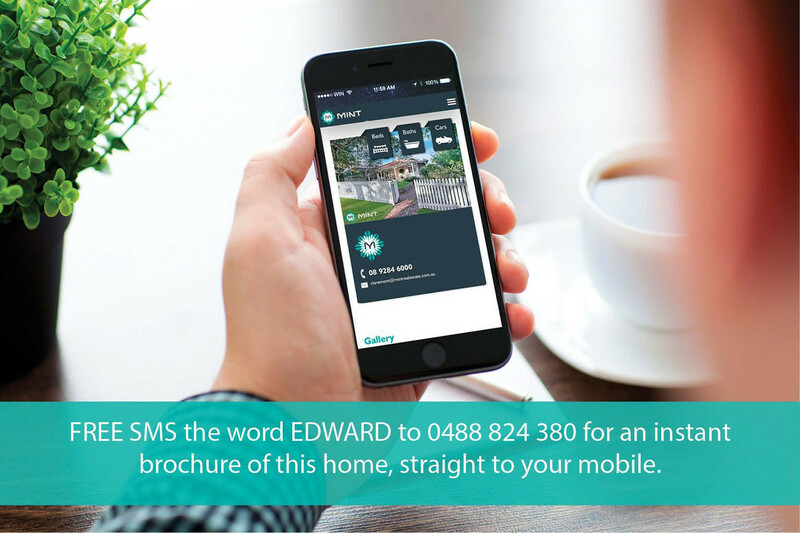 Set in a quiet, tucked-away tightly held neighbourhood, 4 Edward Street presents the perfect haven for the growing family. 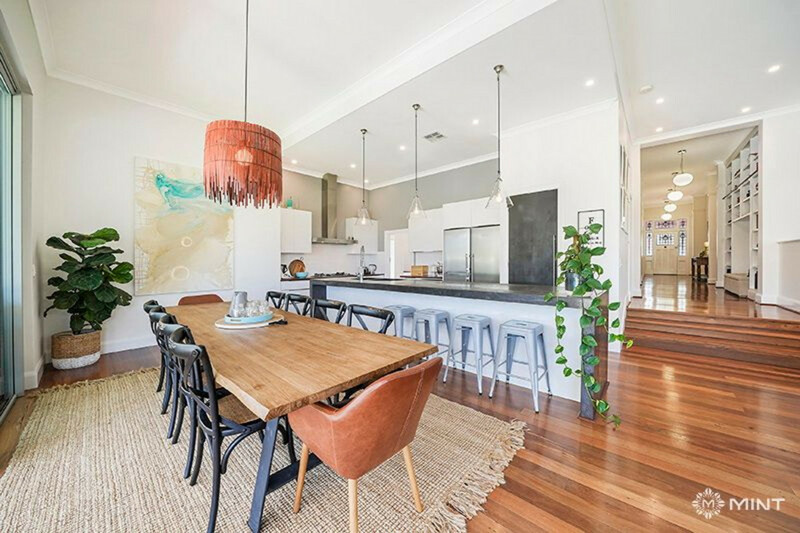 Walk to Napoleon Street and pick up a coffee before taking the family for a swim at Cottesloe’s world-renowned beach. 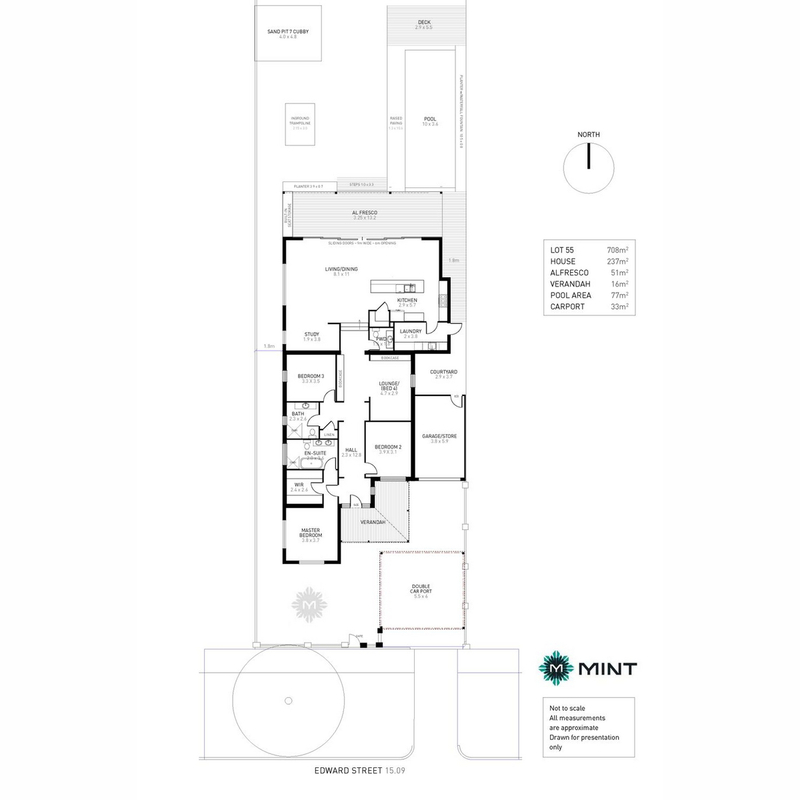 A beautifully designed layout with a premium location, this residence is simply one of a kind. 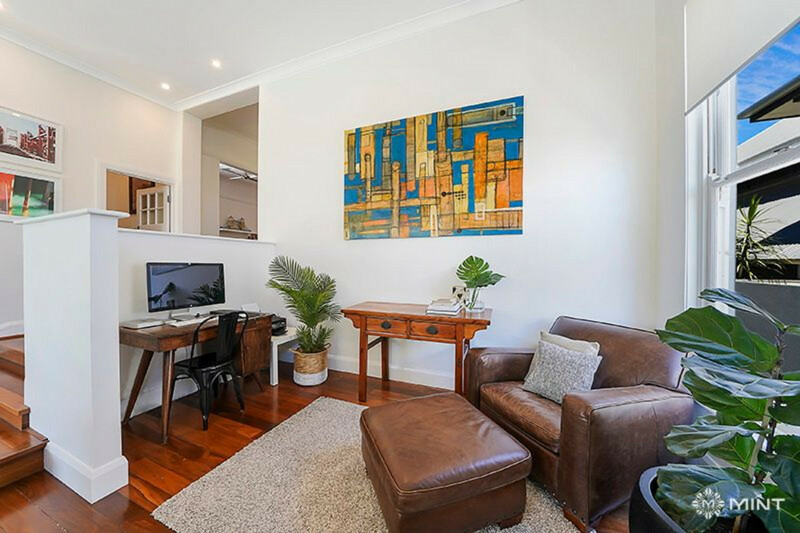 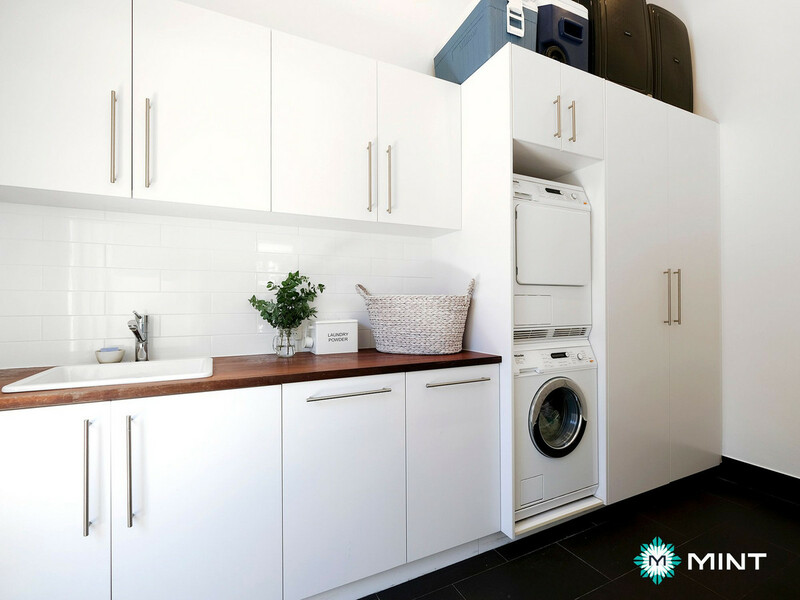 –	1.6km to Cottesloe Beach, under 1km to Napoleon Street and river (Foreshore Reserve).